Inflammation is known as the body’s attempt to protect itself by trying to remove foreign substances and start the healing process. Although inflammation helps heal wounds, too much inflammation, and inflammation lasting for long periods of time, can be harmful to your body-creating symptoms such as chronic pain. Acute Inflammation begins fast and becomes severe very quickly. Signs and symptoms of acute pain are only there for a couple days, but in some cases may go on for several weeks. The flu, bronchitis, sore throat, and the common cold are all types of acute inflammation. The patient may feel pain, immobility, heat, and also experience redness and swelling. Chronic Inflammation is also known as long-term inflammation, because it can last for several months and even several years. Chronic inflammation can occur from failure to get rid of the foreign substance, an autoimmune response to a self antigen, or from a chronic irritant of low intensity that persists. Hay fever, arthritis, and some cancers are linked to chronic inflammation and chronic pain. Arthritis is inflammation of one or multiple joints within your body—whether the result of a disease, infection, a genetic defect, or another cause. 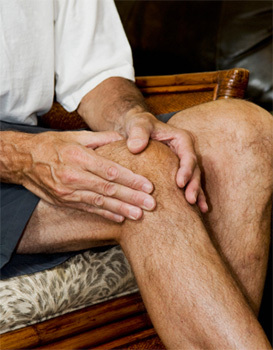 Arthritis may cause chronic pain, stiffness, and swelling in the joints surrounding tissues. Osteoarthritis – is the most common type of arthritis; it is a degenerative joint disease where pain and swelling stems from the progressive loss of cartilage in the joints. Rheumatoid arthritis – is the second most common type of arthritis characterized by inflammation, swelling, fatigue, and pain in the hands (especially the knuckles), wrists, elbows, shoulders, knees, and feet. Juvenile rheumatoid arthritis – can come in multiple forms and affects young children. At the clinic, we take a natural approach to treating arthritis which includes nutritional management, exercise, and lifestyle changes. We can help guide you through dietary supplement options as well as create a treatment plan that best works for you so you can start seeing results.